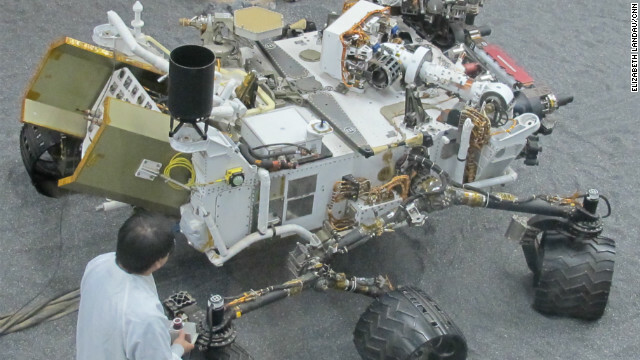 Mars rover: Is all this really necessary? Hey Mars! We're back! Hope you don't mind if we cruise around in our scientific SUV to grab some historic data and snap some breathtaking images. Oh, and we might do some Martian doughnuts in your front yard. Now that the Mars rover Curiosity is safely parked, NASA's unmanned planet crawler appears ready to roll. A car salesman would have a ball selling this beauty. It's loaded with an array of sophisticated cameras, a "rocker bogie" suspension, a robotic arm, 2 gigs of flash memory, a rock-vaporizing laser (!!!!) and a plutonium-fueled power system. It operates by remote control from millions of miles away and has a blazing top speed of 1.5 inches per second. Sticker price (including delivery): $2.6 billion. (CNN) - As he stood on the floating Apollo 11 capsule, Navy SEAL John Wolfram was very aware that the safety of the first men to walk on the moon was in his hands. The whole world was watching. Amazing circumstances - for a guy just two years out of high school. It was July 24, 1969 - four days after the historic landing - and millions were anxious to know whether the astronauts had survived their fiery fall into the Pacific about a thousand miles off Hawaii. Minutes before he stepped onto the tiny capsule, it had been plummeting from space into the atmosphere at thousands of miles per hour. Parts of the spacecraft's shell were blackened. Wolfram could see steam still rising from it. "I looked in the hatch window to see if the astronauts were OK," recalls Wolfram. "They smiled and gave me a thumbs up. Being the first to look them in the eye and see that they're OK - it's quite a rush." On this 43rd anniversary of the well-known mission, here's an Apollo 11 story that's told less often. It's the story of a handpicked four-man team of tough Navy SEALs who played a key role in what may be mankind's greatest technological achievement. CNN's video-equipped weather balloon shoots skyward on Saturday from its liftoff point in Peachtree City, Georgia. Saturday, June 23, 9 a.m.ET update: Our video-equipped weather balloon nicknamed "Yeager" is on its way toward the edge of near space! 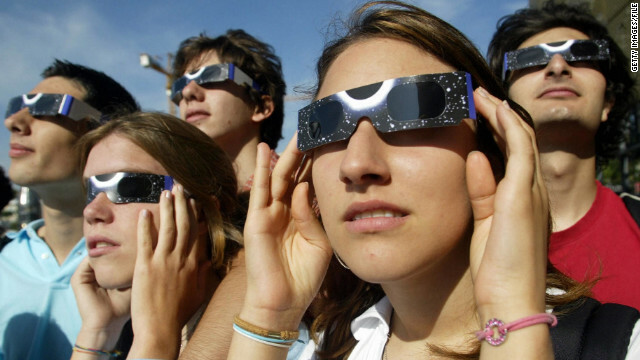 Just about anybody nowadays can reach the fringes of space - if they have the "right stuff." In this case, the right stuff might include a weather balloon, a GPS unit and a video camera. Destination: the region where air and "near space" meet. Now CNN is going to give this a try. 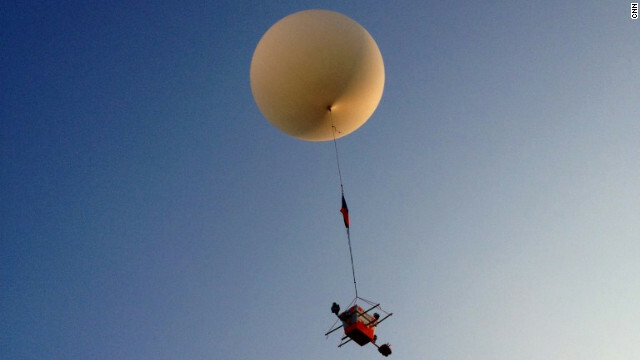 We're gonna [hopefully] launch a weather balloon and video camera on Saturday, June 23, at 7 a.m ET. And you can follow our mission on Twitter at @CNNLightYears. The goal: capture some cool video up there in the rare air. The camera [hopefully] will return by parachute safely back to Earth. Then we'll post the video here on Light Years. 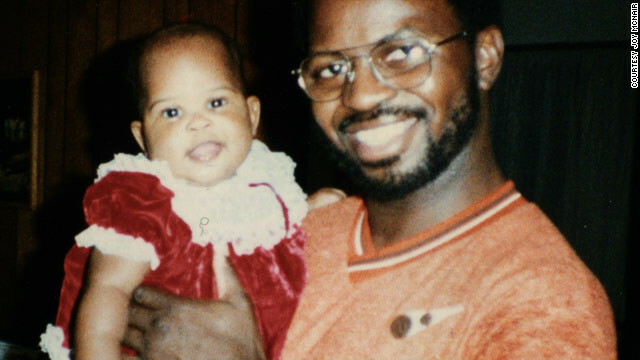 Joy McNair enjoys time with her father, NASA mission specialist Ronald McNair, in an undated family photo. Joy McNair has a wonderful memory of herself as a toddler running toward her astronaut father as he returns home. But it's not her memory. She borrowed it from someone else. "My mother has told me often that I was quite the daddy's girl," McNair said on the phone Monday. "I would run to his arms when he arrived from work every day." But beyond that, her memories are murky. Joy was just 18 months old in 1986 when the unthinkable happened and the space shuttle Challenger exploded shortly after liftoff. Her father, astronaut Ronald McNair, and his six colleagues lost their lives, prompting President Reagan to call them true American heroes. Now a 27-year-old Washington-based attorney, Joy experiences Father's Day very much like any other day. "I've never had Father's Day to celebrate. So in a weird way it's not something that I feel a loss for." What Joy McNair knows about her astronaut father comes from family stories and the media. For countless people who lost their dads before they had a chance to know them, Father's Day can force a confrontation with lingering questions and memory gaps. When the loss is part of a public event, when the world remembers your father in some ways better than you do yourself, the search to truly know your father can become a lifelong quest. 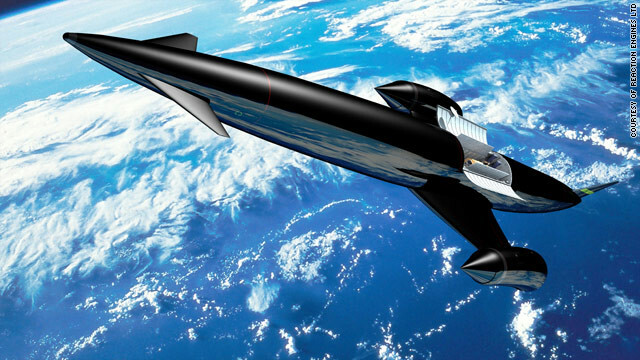 Designed by UK-based engineers Reaction Engines Ltd, the Skylon project is a radical idea for future space travel. CNN commenters - clearly energized about the promise of a new, privately developed space shuttle - are buzzing about winged spacecraft versus capsule-based vehicles like Dragon, which SpaceX used for its historic visit to the space station last month. A commenter called "gregory" points out the Skylon space plane project in the UK. The theory behind space planes is they would be able to take off from a runway, rocket into low orbit, and then fly to a landing on a runway. Gregory suggests that space planes are preferable because their engines would be designed to "breathe air like a jet at lower speeds" and then "switch to rocket mode in the high atmosphere." CNN reported on Skylon last year and one insider estimated development cost to be around $10 billion. NASA's program to fund private spacecraft development offers only a fraction of that amount - less than $400 million awarded so far. 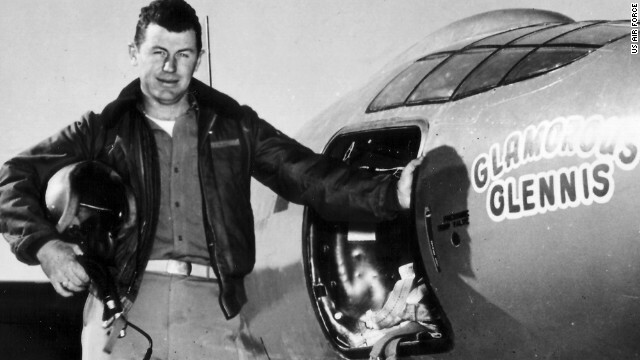 Chuck Yeager broke the 768-mph sound barrier in 1947 while piloting this experimental Bell X-1 rocket plane. CNN: Are you still excited about what's going on in aircraft design and the ability to push the envelope? Chuck Yeager: There's a limit to what they can do. The main thing is you have new airplanes coming, but it's still the same old weapons systems that destroy the enemy. That's the way you look at it. And there's not an awful lot of new stuff that's mind-boggling. (Commercial spacecraft designer) Burt Rutan - that to me is a bunch of crap trying to shoot guys up into damned space. What they're going to do is they're going to wipe out half a dozen (people) one of these days, and that will be the end of it. 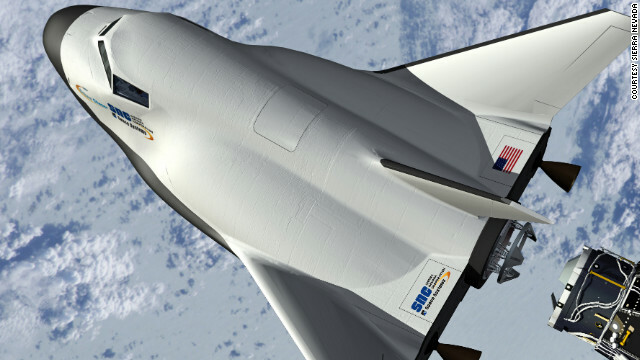 A mini-space shuttle called Dream Chaser, seen in this illustration, is expected to begin atmospheric testing this year. SpaceX made history Friday as the first private company to successfully reach an orbiting space station - but its competitors aren't far behind. Blue Origin, the commercial space outfit founded by Amazon.com's Jeff Bezos, has been wind-tunnel testing its Space Vehicle capsule, which is designed to carry up to seven astronauts to the International Space Station, much like SpaceX's Dragon capsule. Another company, Sierra Nevada, is preparing to dangle a test version of its shuttle-like Dream Chaser from helicopters later this year to find out how well it slips through the air. The sleek spacecraft - which could lift off as soon as 2016 or 2017 - is designed to launch atop a powerful Atlas V rocket and then use its wings to fly back to Earth for a runway landing. Chris Hadfield, seen here during a 2001 spacewalk, plans to moonlight as a recording artist aboard the orbiting space station. Music and space travel have been pairing up since the early days of NASA, including hundreds of wake-up tunes, a moonwalking crooner and even an orbiting duet. Now, astronaut Chris Hadfield plans to do a little moonlighting as an orbiting recording artist. Hadfield, an accomplished acoustic guitarist, is scheduled to rocket to the international space station in December, where he hopes to lay down some tracks using an acoustic sound-hole pick up, a Shure microphone and Cakewalk software, reports space.com. A Larrivée Parlor guitar is already waiting for him aboard the ISS and Hadfield's "studio" will be a "whisper zone" with a nice view of Earth. "I think it would be really good to record a bunch of songs on orbit, original music on orbit," Hadfield told Space.com. "Some of the earliest spacefaring songs, I'm going to write and play up there." There must be something special about making extra-terrestrial music, because it always gets attention. Maybe it's the romance of adding something uniquely human to the vast emptiness of space. But sometimes the juxtaposition of the two borders on bizarre. Take for example Apollo 17 astronaut Gene Cernan's song and dance routine on the surface of the moon in 1972. What about those NASA musical wake-up calls? Seems like there must have been hundreds of them over the decades. The tradition of waking up orbiting astronauts with music began in the 60s - and it's chronicled here. Hadfield - who's chosen some of the wake up songs - once said, "You don't want to play a dirge or something uninspiring. You want to get going in the morning." Among the first tunes played aboard a NASA spacecraft was a 1965 Gemini 6 performance by Jack Jones singing a rousing version of "Hello Dolly." Astronauts love show tunes. By the time the shuttle program started winding down, iconic artists like R.E.M. 's Michael Stipe sang custom musical messages. Another unearthly musical highlight: the flute-playing astronaut Cady Coleman performed an Earth-to-orbit duet with Jethro Tull's Ian Anderson in 2011. Ron Garan proved that you can indeed play the blues in orbit, specifically inside a Soyuz spacecraft docked at the ISS. Watch him pick and grin three- and-a-half minutes into this video. 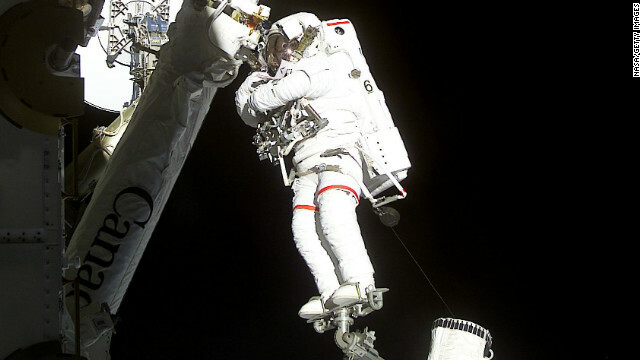 Ed Lu showed us how awkward it is trying to play heavy music in zero gravity. See it here at about one and a half minutes in. Of course space geeks are very aware of the all-astronaut Houston, Texas, rock band Max Q, which formed in the 1980s and continues to perform today. Check out Max-Q's stellar rendition of The Romantics' "What I Like About You." And finally, space music ain't just for humans. NASA has proven that a planet can get into the act too. Listen to sounds of Jupiter recorded by NASA spacecraft. You can hear the interactions of Jupiter's magnetic field with the solar wind. So what do you think? Is music somehow better when it's performed out of this world? Write us a comment below and let us know.